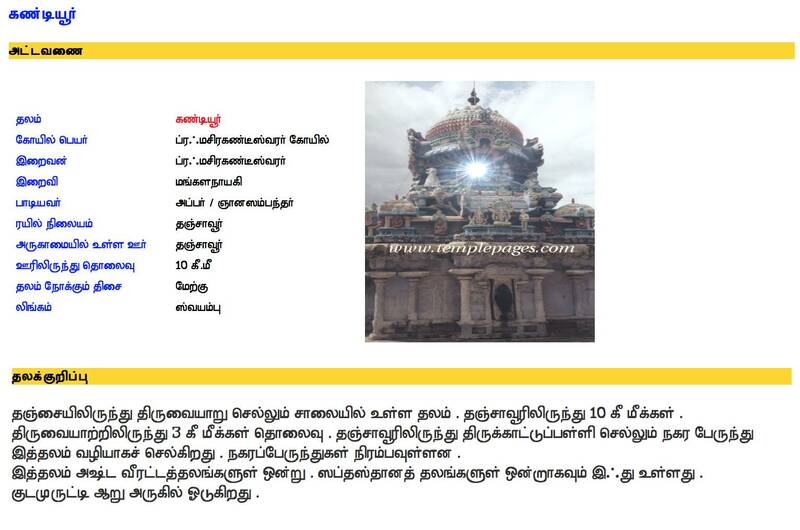 kandanam in sanskrit means severing, this is the place shiva severed the 5th head of bramha and hence the place came to be known as kandiyur. 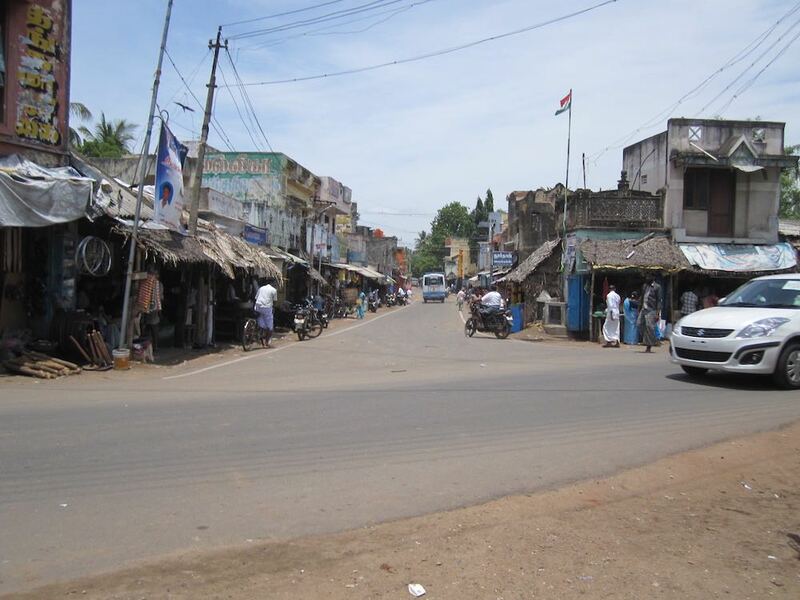 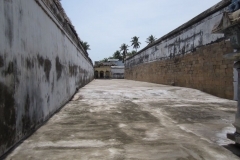 kandiyur is a small town 8 kms north of thanjavur on thanjavur – thiruvaiyaru – ariyalur road in thanjavur district. 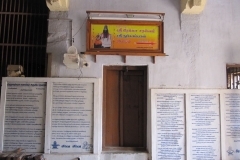 it is one of the famous saptha sthaana sthalams. 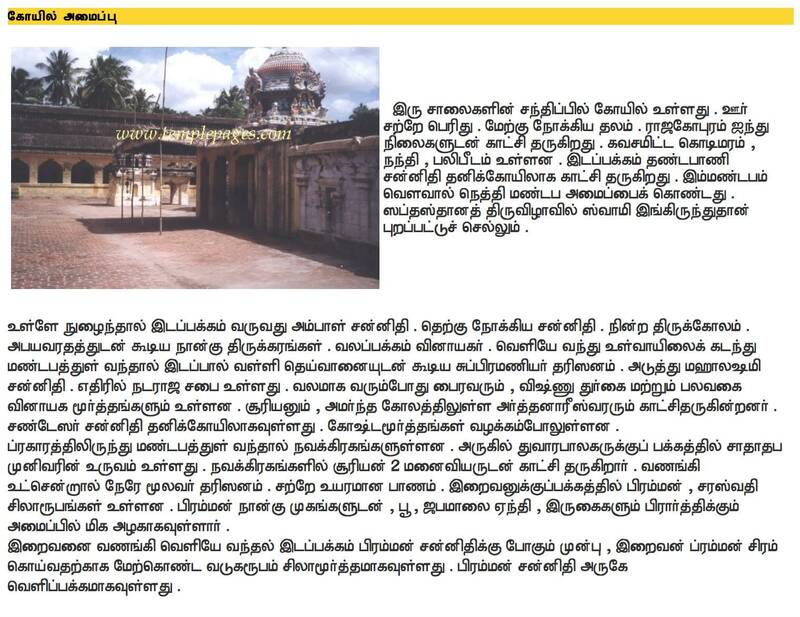 it is also one among the ashta veerattana sthalams. 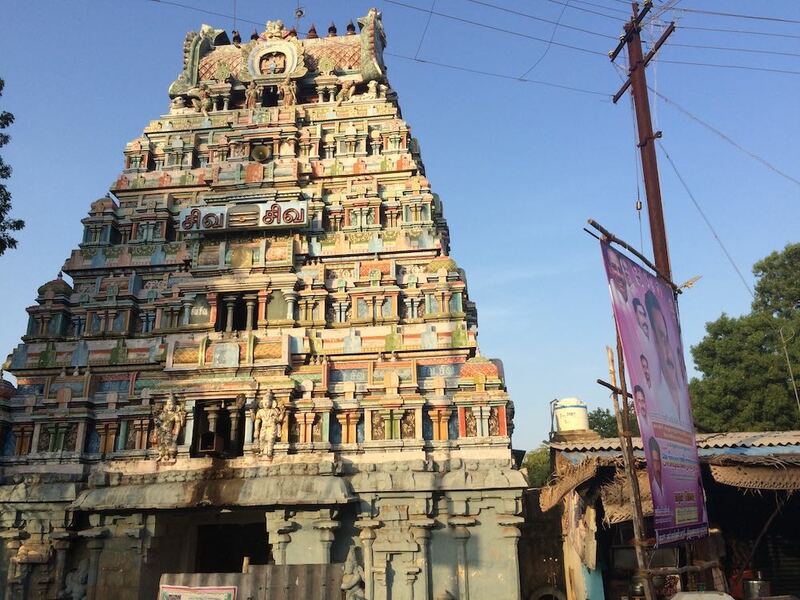 a medium to big temple , kandiyur sivan temple is right on the main road. 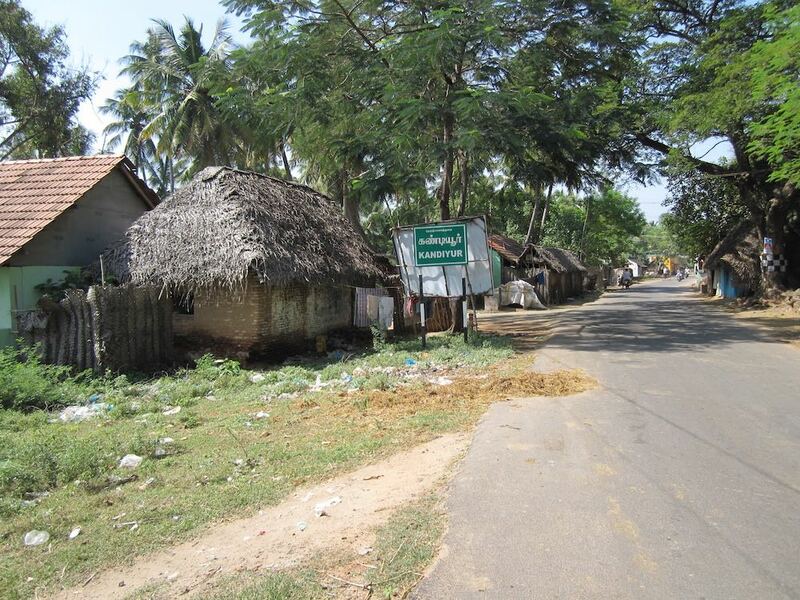 lots of buses ply between thanjavur and ariyalur / thiruvaiyaru. 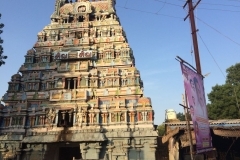 a dedicated bramma sannidhi makes this temple a special one. 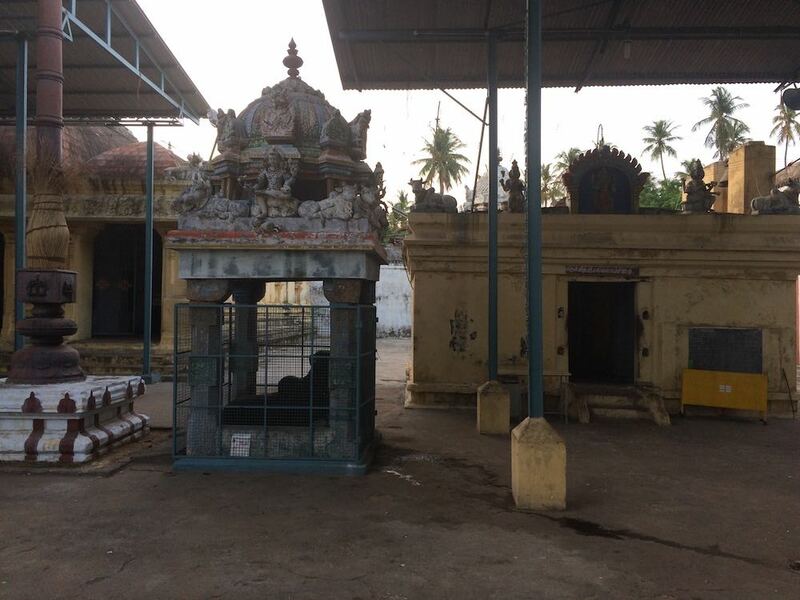 kandiyur also houses a vaishnava- divya desam which is about a furlong from this shiva temple. 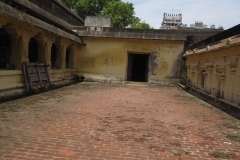 more about the layout of the temple can be seen from the pictures. 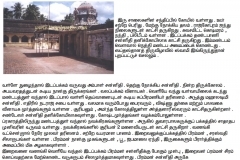 unlike thiruvedhikudi ., thiruchotruthurai and thiruppoondhuruthi , this temple is on a main road and is open from 6 to 12 noon and 4 to 8.30 pm. 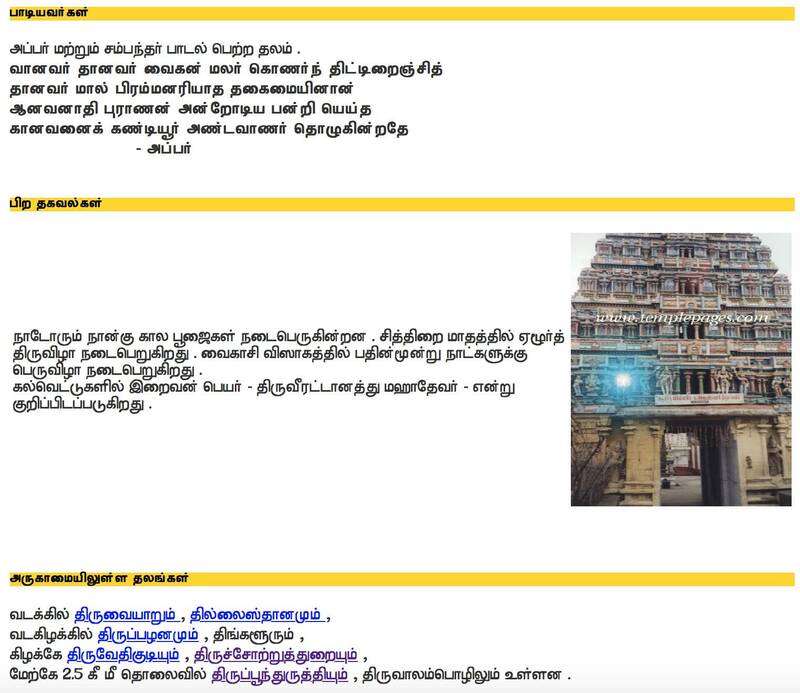 priest is generally available . 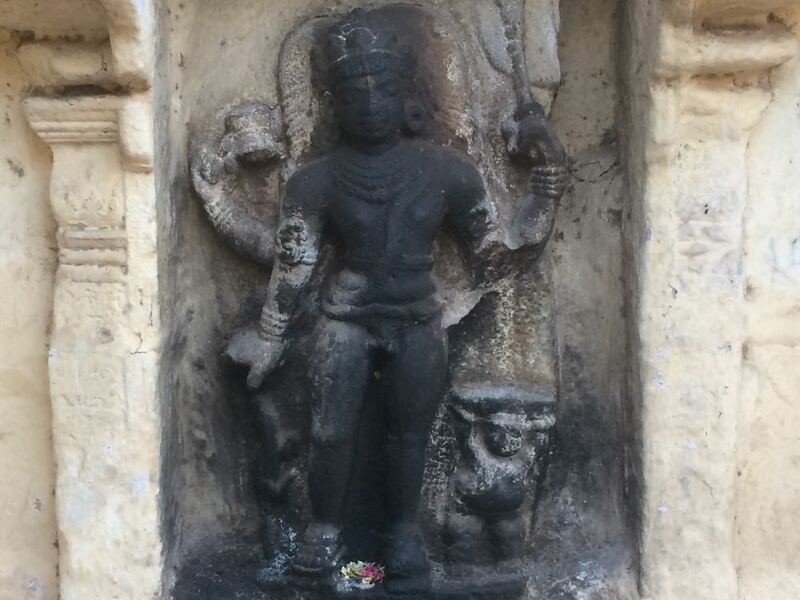 legend has it that since bramha was very boastful of his creational powers ignoring the supreme , lord shiva severed one of his heads , reducing it from five to 4. from then on brahma came to be known as ‘naan mugan’ in tamir meaning the god with 4 heads. 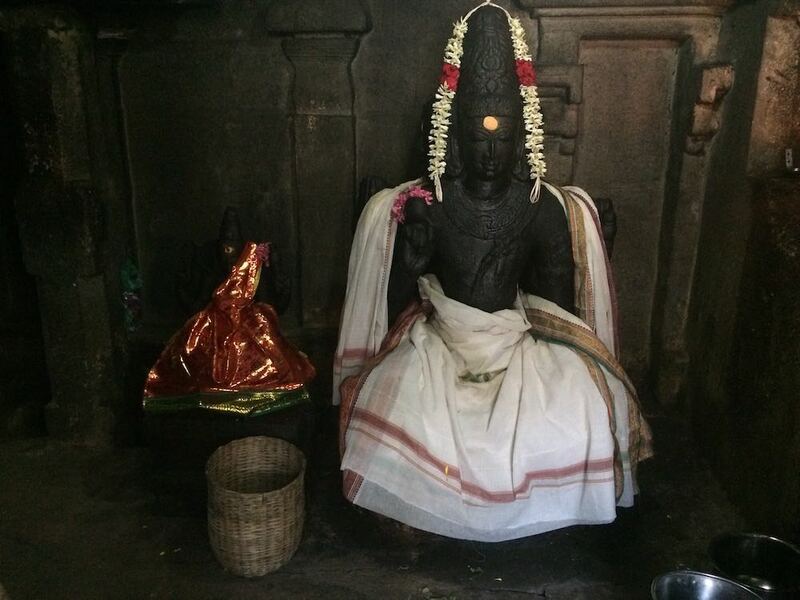 another legend has it that brahma became infatuated with his own creation saraswathi who took refuge and requested brahma be punished for his sin. 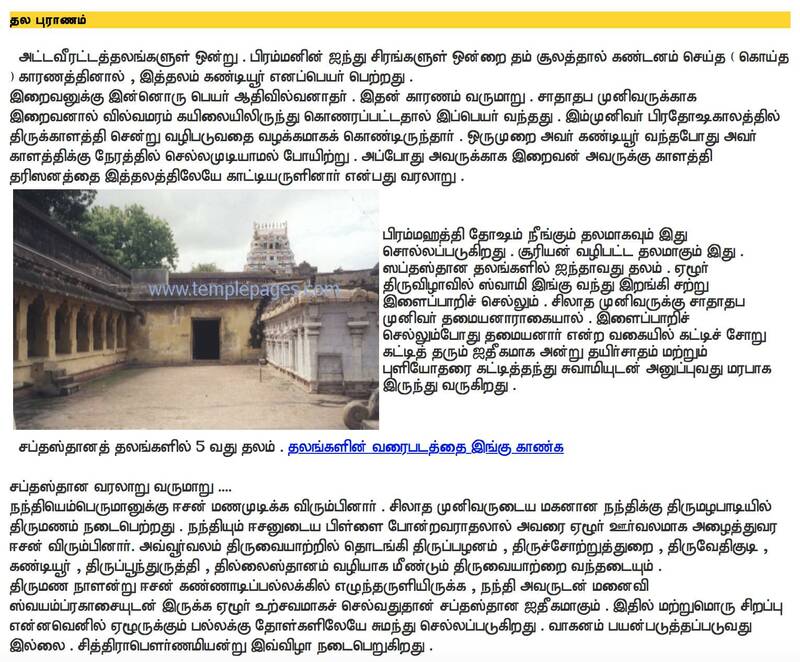 a 3rd legend which is from thiruvannamalai story says that brahmas 5th head was severed because he lied to shiva that he saw his crown. 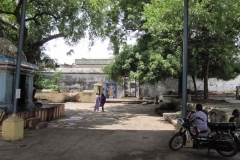 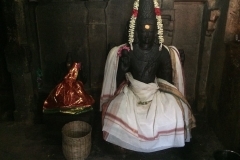 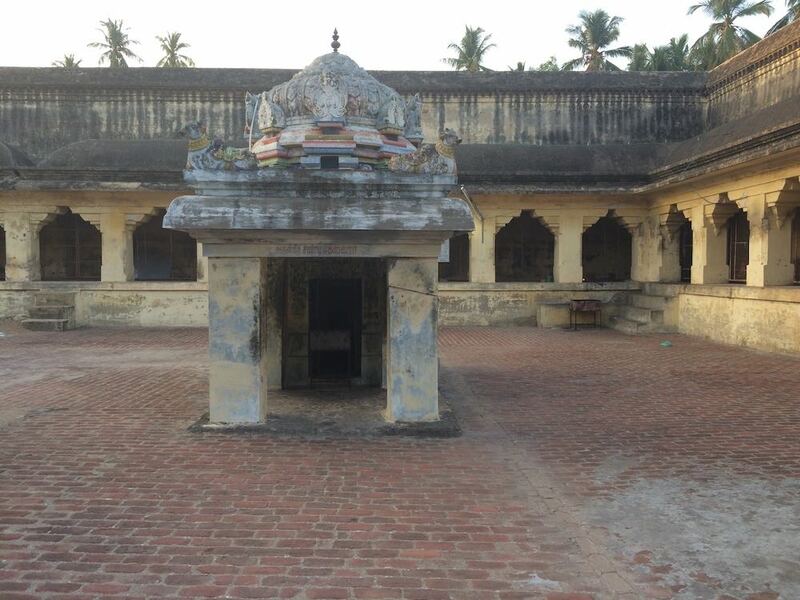 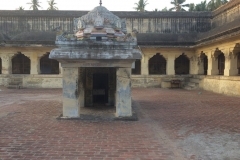 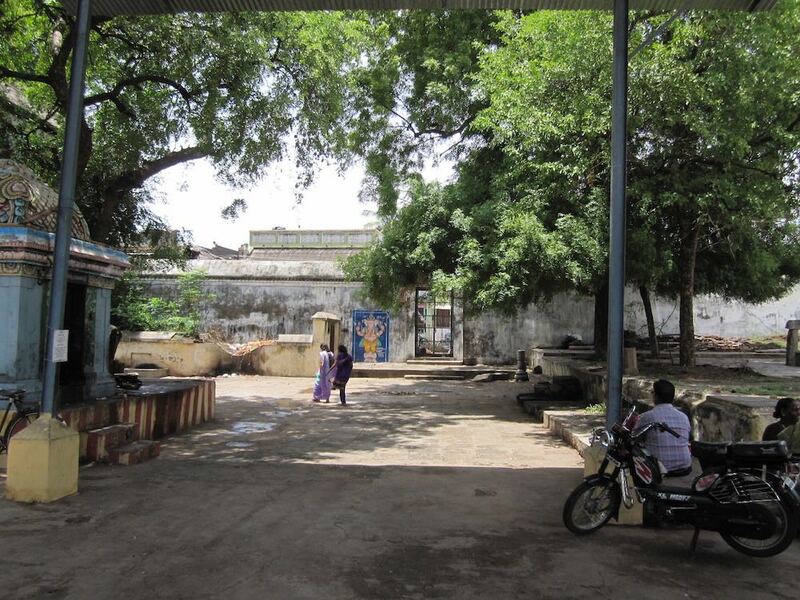 when brahma asked for atonement , shiva told him to worship him here with saraswathi every day so that the tejas of his 5 heads will still be available with the 4.
this temple is one of the very few in south india where exists a separate sannidhi for brahma, the other being thiruppattur near thiruchirappalli. 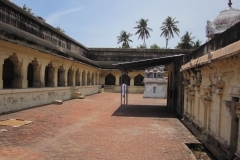 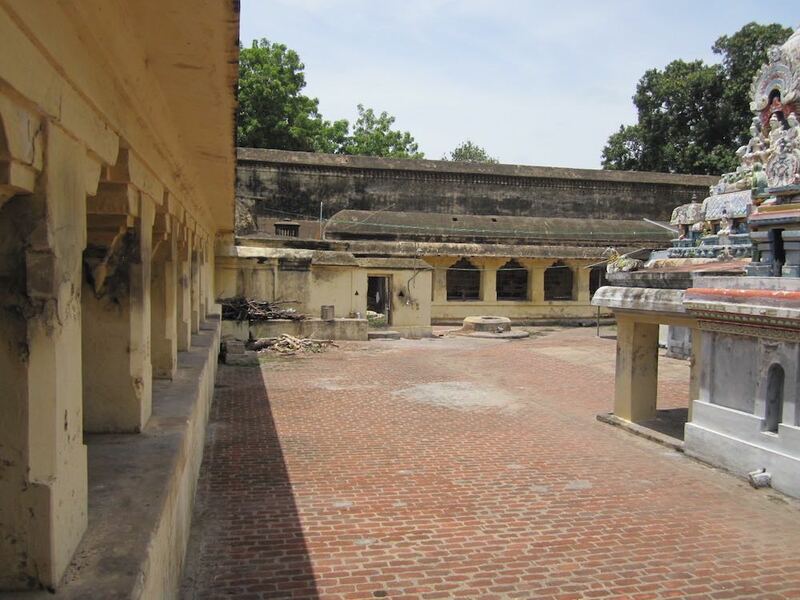 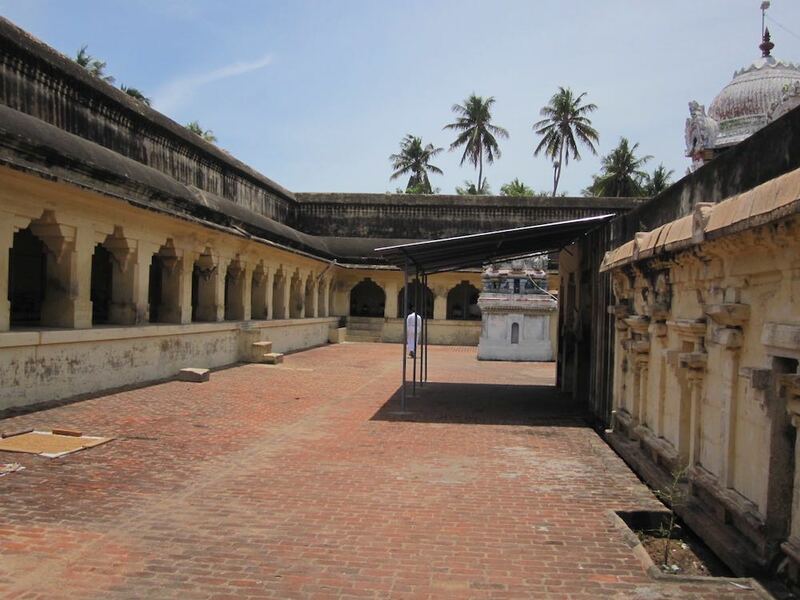 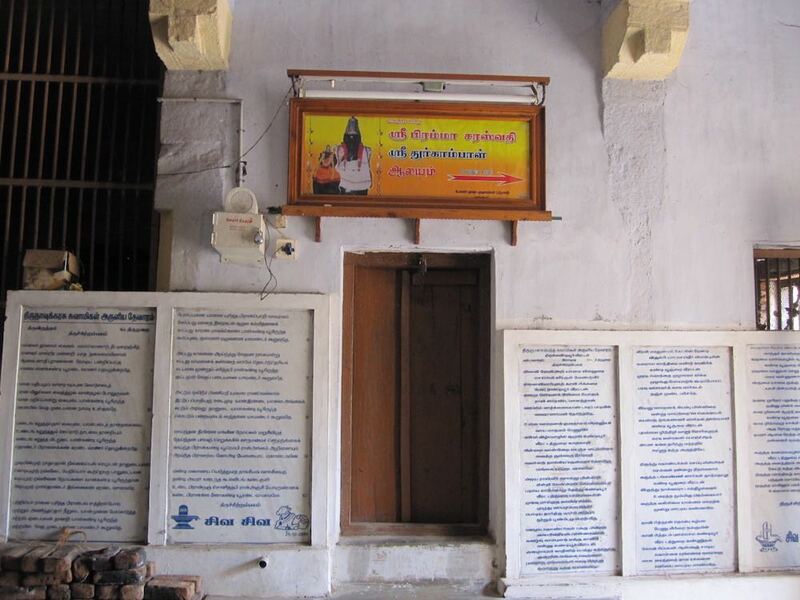 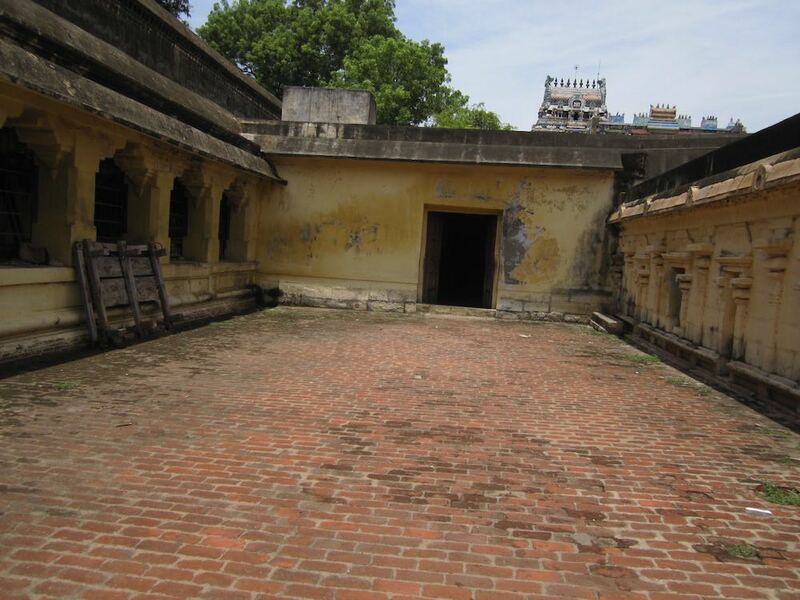 shaathaathapa rishi lived here and had a habit of worshipped the lord in kaalahasthi every pradosham day. 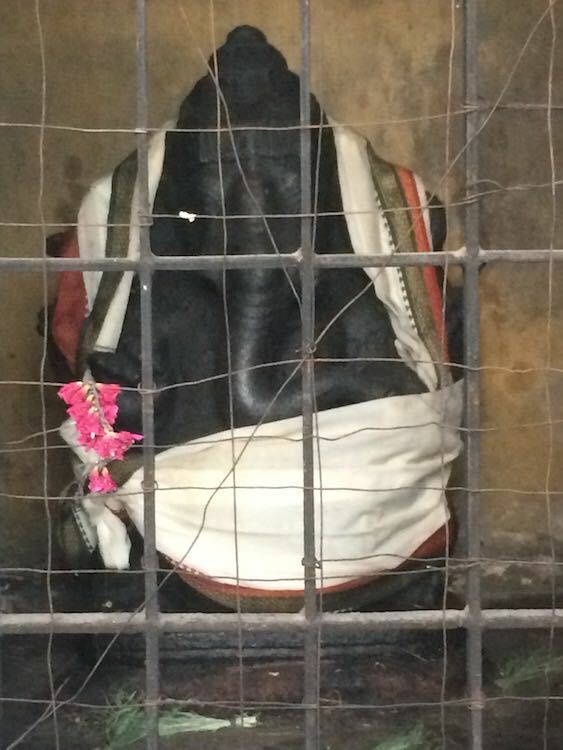 he would use his powers to fly to kaalahasthi. 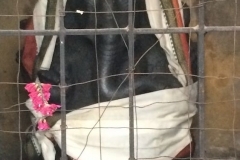 he swore to enter and burn in fire if he couldnt do it. shiva , to test his disciple created hail winds and heavy rain one pradosham day. 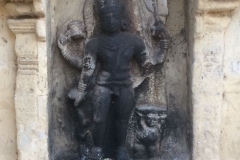 the determined rishi created fire and was about to enter when shiva gave him darshan in the way he is in kaalahasthi and blessed him saying that kandiyur and kalahasthi are not different. 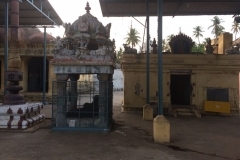 this temple forms the fifth in the saptha sthaanam heritage. 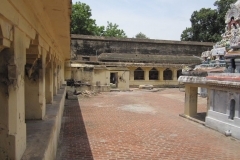 it is said that here is where nandhi devar is given divine bath and is given food before being sent to the next temple. 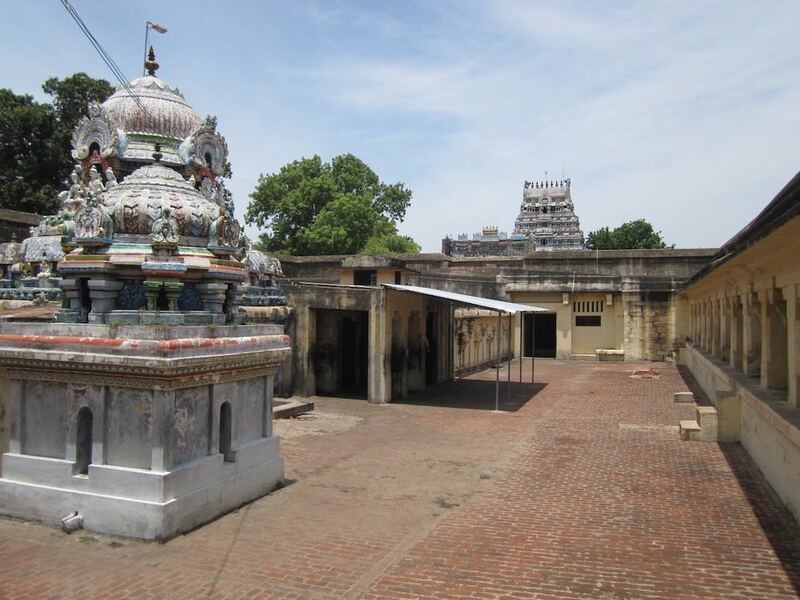 like the other saptha sthaana temples , this temple easily dates back to about 1600 years. 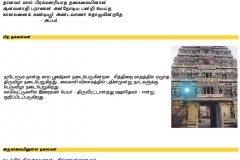 it must have existed before that. 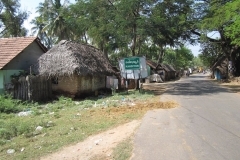 cauvery flows to the north of the temple and kudamurutti to the south. 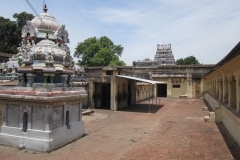 other temples which form the saptha sthanam heritage are thiruppoondhuruthi , thiruvedhikudi , thiruvaiyaru , thirupparanam , thiruchchotruthurai and thillaisthanam . 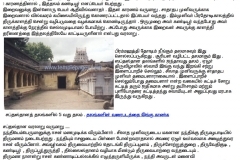 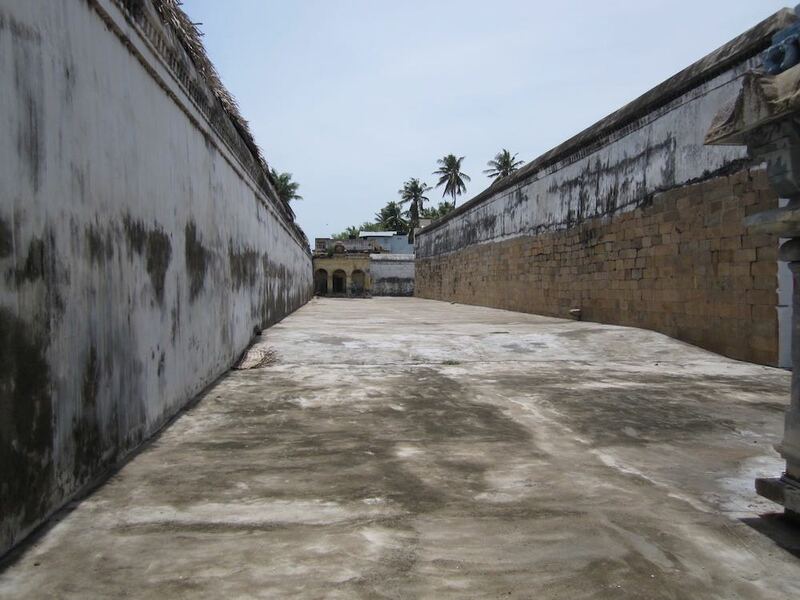 the tamir sthalapuram is provided below as an image slideshow.